From what I've seen, the low beams are Osram 25W HIDs. And from my experience, LEDs aren't exactly good with projectors as HIDs are, something to do with their light scattering a lot and a loss at the lens. I agree, low beams are a bummer in terms of brightness which is at the very low side. I've seen after swapping out the fogs with LEDs, the low beams + fog combination is good enough for me to drive on highways at 50-60kmph speeds. Ofc, faster than that you need high beams in certain dark areas. Found an interesting video of custom headlights, I think they've used LEDs throughout. Since navigation is standard for the new models, is there any price drop on the navigation accessory for the 2017 year model? It's a SYNC3 based system and at the time of purchase the cost was upwards of 1L. I know I can use Google Maps but I tend to avoid Google due to privacy concerns. I guess price for installing navigation was 1.5 lakhs in the earlier endeavours. And I believe no one has done it because it's waste of money. Ford has always denied and not very co-operative for the change as it involved major hardware and software changes. 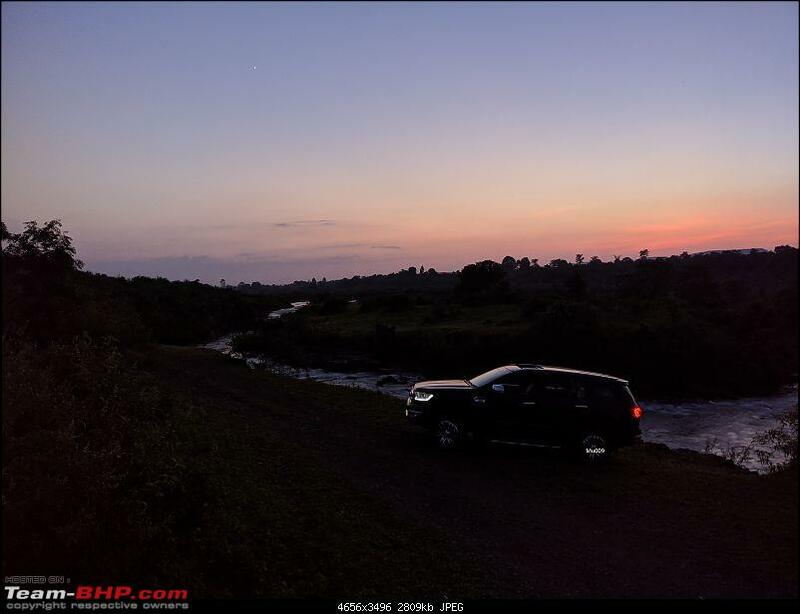 When the Ford endeavour was launched in Jan. 2016 it came with Sync 2 which was an outdated system. Then the Endeavours from Nov. 2016 onwards (Only 3.2 Titanium) came with Sync 3. Eventually all models from 2017 onwards came with Sync 3. When the initial owners saw that the Sync 3 is far superior to the Sync 2, many customers wanted it and requested Ford but Ford denied as it was a major upgrade. Finally from April. 2017 onwards the Endeavours were launched with Navigation. Personal opinion: The Endeavours Navigation is not all that good. Although it is sufficient in cities, but on outskirts and highways there are no details on the maps. You are better off with Google maps and external devices like Mapmyindia. Is there any way to update the navigation maps on the Endeavour? Does Ford offer this. Unfortunately not in India. Abroad you can do it yourself. Please see attached page of manual. I booked on 2nd. 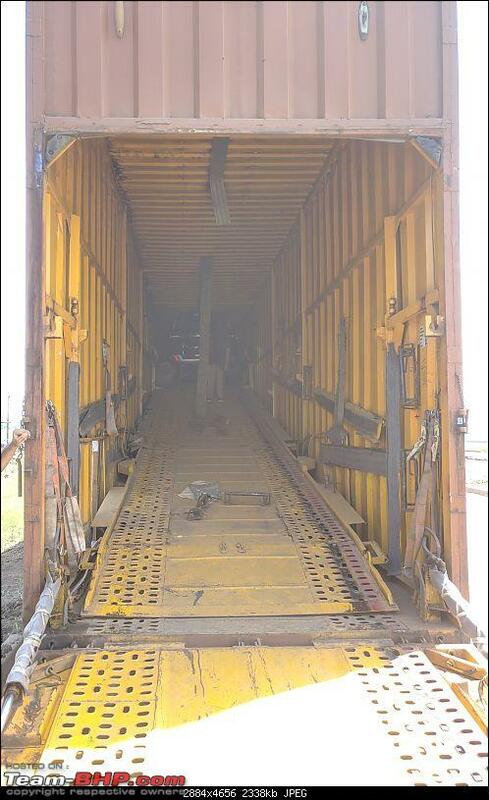 I'm getting it tomorrow - fresh off the trolley inbound from Chennai. First of all, Congratulations on owning the beast. Just one thing wanted to ask you since I'm also in the same boat - Why didn't you wait for facelift/ upgraded version due to be out in Jan/Feb'19? I mean, any specific reasons? What do our esteemed BHPians suggest? Wheel Alignment/ Balancing should be done at every 10,000 kms, preferably from a dedicated alignment/ balancing shop as not all ASC staff are expert at it. Pre-Post-Script: Post best viewed on mobile. Apologies for any errors - did proof reading only post posting with edit window rapidly closing, as attachments were disappearing in preview. Lots of quotes coming up (not in the most logical order) - had a long week, what with (almost) finishing up the seemingly never-ending construction of a new garage (all the while managing a welder who doesn't understand the importance of, or indeed, the concept of measurement), data backup from a dying laptop, procrastination and of course, driving the wheels off my new Endeavour. Have a satisfying ring to them, I must say, those last 3 words. With another hectic day tomorrow and the next round of big changes to the odometer reading hopefully resuming tomorrow, I'm trying to finish this post today (even though I'm already burning my midnight oil by now) - will probably touch it up and post in the morning. First things first, it (and me) has had a full 2 day rest, Sunday and Monday. 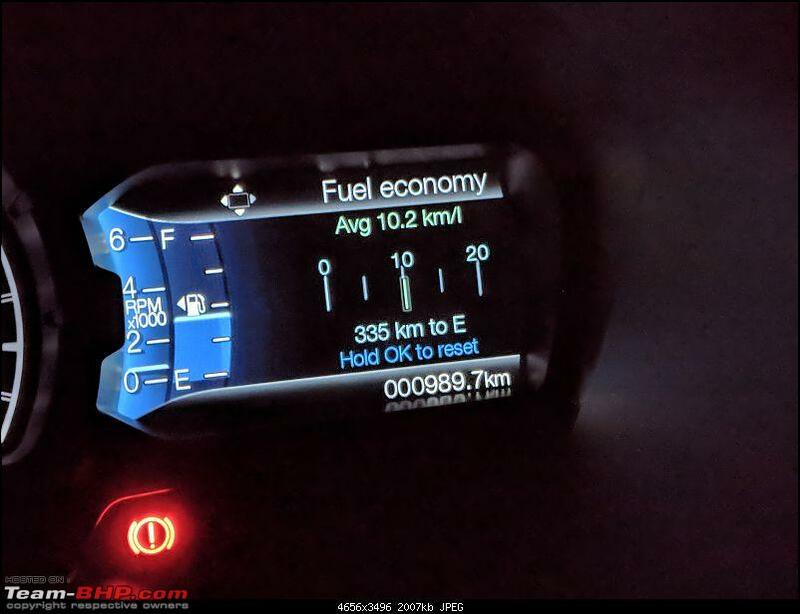 The car came with 6km on the odo from the factory. 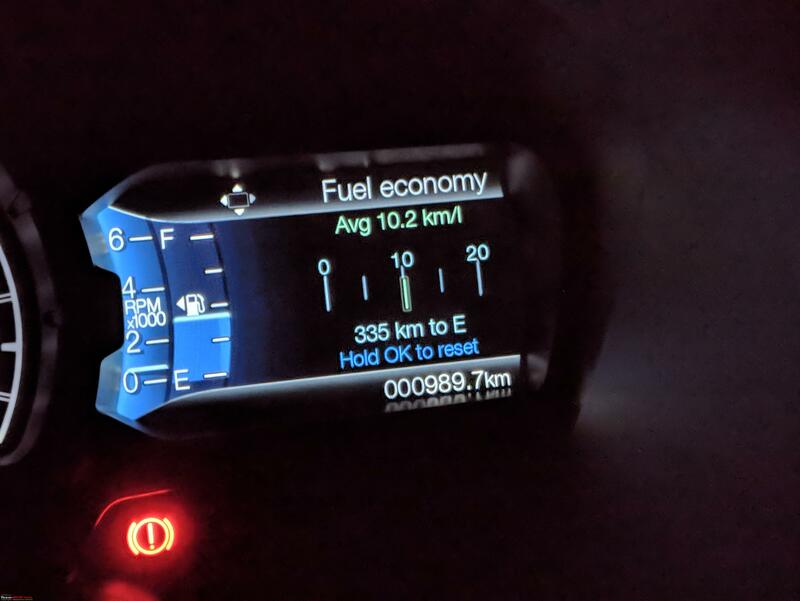 Exited dealership at 6.2km, first refuel (I barely reached as car nearly sputtered alarmingly to a stop in my quest to reach a reliable pump, coupled with extensive PDI) at 11.5km. I must've put roughly 700-750 of those, 250-300 are Mom and friends. MID showed 10.4kpl at the time. Tank to tank method says 10.8! I'm sure you will like each and every thing apart from the average. I'm basically liking all of it - and by no means am I "driving like a monk" (as Scorpion put it so well in one of his posts). 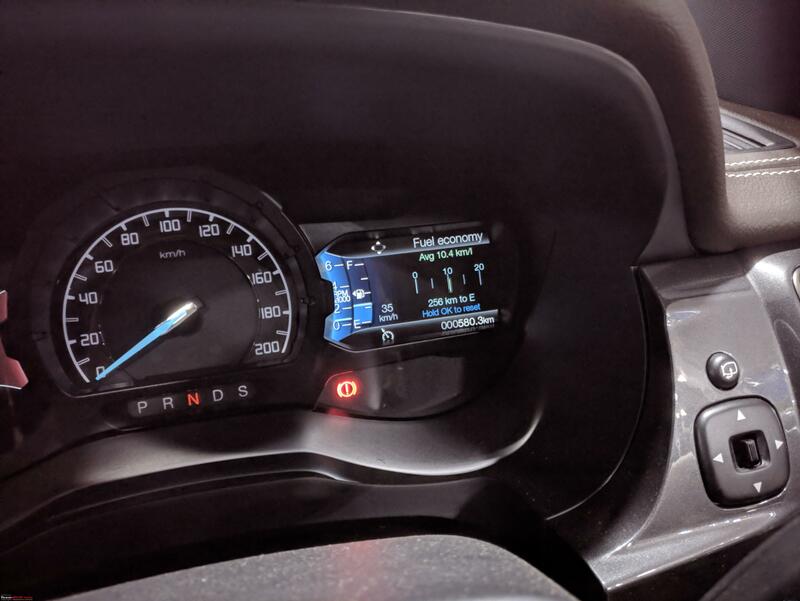 The vehicle has enough poke under 2k rpm for all applications executed in a relaxed manner, and getting even 12+ is a breeze for me, even over regularly (and quickly) rising and falling terrain (in light traffic) - within 3km of starting a trip. Since I've got my own air compressor (ViAir 85P), I have been checking and varying tyre pressures, and haven't seen a significant drop with reduced tyre pressure (between 32 and 35 psi). Try to pick up the pace on a traffic-y, diversion and cow filled highway with 5 + luggage on board (32 psi), and only then did it fall to 9.8. The lower overall average number is due to Mom, idling and to a lesser extent, friends. Preferably an experienced friend or family member should be there. (Un)fortunately for me, that's usually me in my life. But I think I did alright. Time will tell - though not much, I suppose, given Ford's higher-than-average QC standards. As if the above figures aren't enough, I'll elaborate about my running-in. I adhere to a strict(ish) 5k run-in procedure. 1. 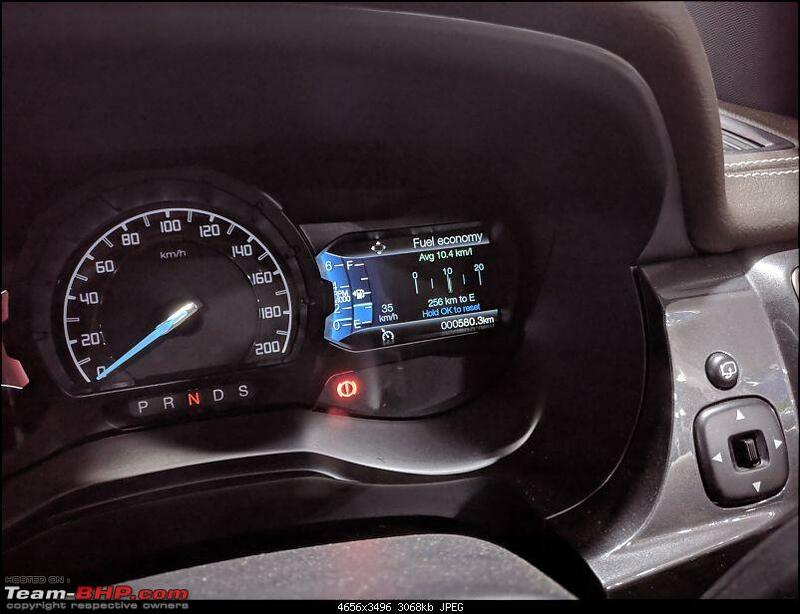 Under 2k RPM (for this vehicle), no constant RPM or hour plus continuous runs till 1k. 2. Under 2.5k rpm from 1k - 2.5k kms. Longer runs and constant RPMs now allowed. 3. Start increasing RPM slowly to redline from 2.5k to 5k RPM. 4. Normal operation post that. Have gone up very briefly to 3k RPM on about 5 instances post 500km though. Thrice friends (at my behest/urging, despite their apprehensions), and twice me. As a good practise (that's what I did) you can change the oil in the first 1000 kms. Reason: Brand new engine has some minor metallic parts that get off the new engine components and get mixed with oil. If you go to the service centre they may say it's unnessary but it's up to you to decide. I too believe in that (have seen those shavings too), and insist upon it despite manufacturers wanting us to do it at 10k. I'll change it at 2.5k. Also, I plan to find a work around (about cost thanks to double changes), and switch to synthetic at 20k (will go into details in my ownership review). The same (on both running in and engine oil counts) was followed with my FZ16 (9 years ago). The reason I've bought a new car (read depreciation disaster for those financially savvy dudes) is that despite buying into a mechanically durable body-on-frame machine, I wanted to take care of it like a first born in order to get a rattle-free and major trouble-free life of at least 15 years out of it. So naturally, I'm going to be as careful as possible. Other than that, I'm strictly following best idling practices post cold start, and before every switch off (for the turbo). Also, am hyper aware of the brake pad wear issue, and I confidently expect to get an almost shocking life span out of them. Taking care to avoid transmission stress while securing the vehicle in park too. Would still be glad of any and all pointers toward a longer optimal life for the truck. 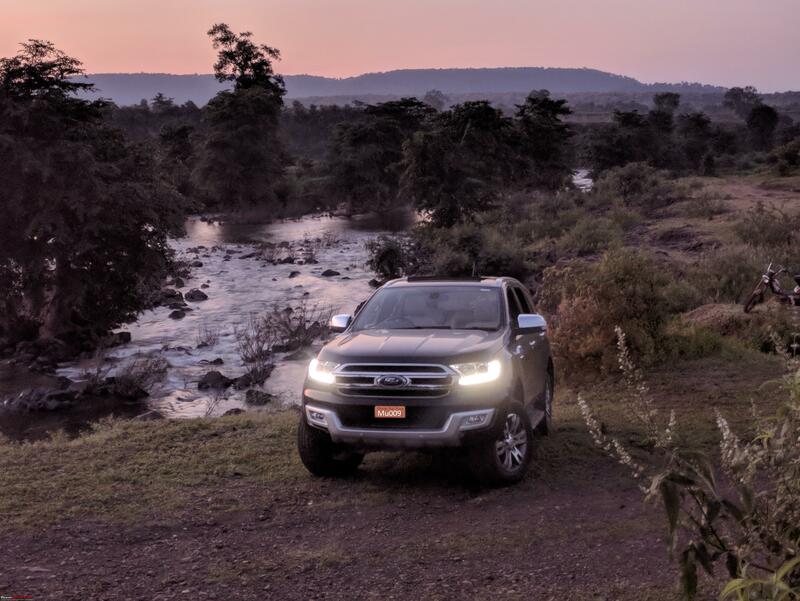 The only way any abuse has crept in (to the best of my knowledge) would be the suspension - mostly due to the kind of roads I've always travelled on (one of the primary reasons the truck was purchased in the first place). While I am resisting the urge to go over just about everything without a care in the world, certain large-ish potholes which became unavoidable at the time may have shocked the shocks a little too early in their life span. And while I of course waited 250km (second day, basically ) before doing anything but crawl over rough patches, the tyres are the other part that would see accelerated wear, I imagine. Which I absolutely do not care about in the MRFs. Kindly download the Ford owners App and enter the ownership details like name, VIN etc. It's a handy app. Thanks for the tip! I had downloaded it directly I read your post. Haven't had time, and seeing the permissions list it asks for, I am a little wary, and will only approach it when I have enough time to evaluate privacy concerns (major nutcase I am, regarding our practically non-existent digital privacy). Have you tried with VPN? I didn't look into it myself (I too think standard navigation isn't required with Android Auto around), but I didn't see anything in your post that'd stop us from being able to update it ourselves right here. Like a kid in 8th std preparing for his IIT entrance test which he knows he would take one day. I take great issue with the metaphor (for no relevant reason), but I can't deny how apposite it is. You have a flair for writing, have an enviable vocabulary and a good command of the English language. You are a little too kind, but what there is, is owed primarily to Wodehouse. Congratulations! I am looking forward to an epic ownership review from you soon. Thank you! It'll take some time though - and I only promise detail. Pictures are attached at the end, and I think they are, if nothing else, a little off the beaten standard delivery pictures path. I am secretly jealous too. The sweet scent of a new car is intoxicating and I wish I could wear it as a perfume on my body. Hehe. Do post pictures as soon as you can. To perhaps the biggest disappointment of the Endeavour for me - little to no new car smell! And I have a finicky nose, even by my standards. What with all the hoo-haa about it being toxic drying adhesives (which I couldn't care less about the ill effects of, while breathing in as deeply as possible in a new car) and those from Thailand having a particularly bad impression, I think Ford might've done a little something about it. I too would love that as an air freshener or something (can't stand deodorants/perfumes). On a related note, if I'm not mistaken, luxury marques have started developing/adding fake (synthesised, non-toxic) new car smells to their vehicles. Also reminds of an old sort-of-joke I once read somewhere - "If women really wore perfumes to entice men, they'd come in fragrances like "new-car", and not what's on the market". Needless, poorly remembered and delivered aside, but there it is. Black looks handsome but might need extra care and you need to pamper it time to time. Do let us know about your plans for paint protection. Ah, but I have all the time in the world to take care of it! Washed it on the morning of the third day - I was quite satisfied with what I managed in terms of water and swirl marks etc (two bucket method, all microfibres and old hair shampoo). Will wash as little as possible, as much as necessary. Will add a coat of Carnauba wax indoors once the garage is finished. As for (the lack of) paint protection - I'll leave that for my ownership review. Thanks! Not to say that the others weren't, but there was something comforting about the phrasing of your post that evening. And I'm not too big on the delivery day (or any day for that matter) being an occasion - took only record shots that day. Have "wasted" time on photographing the vehicle at more aesthetically resonant temporal spaces. Thanks for such a detailed, tailored and considerate reply. I did manage to get quite a bit of sleep - not as excited as I thought (or maybe not as not-tired). As ever, the anticipation was more fun - especially for someone quite well-versed with the vehicle even before a test drive, the actual joy and excitement of the purchase took some time to sink in, aided by the draining detail (even for me), of the PDI. PDI and paperwork were both easy. Other than vehicle cleaning, dealership experience was entirely satisfactory. Also, quick question for you, if you can recall - though I have sources for it here, can't think of a more reliable source than you - how was the road from Jabalpur to Nagpur? Am asking people left, right and centre, but people's standards here are pretty low, and the answers are far too varied and vague. Specifically, is it construction, dust, diversions all the way along that stretch? 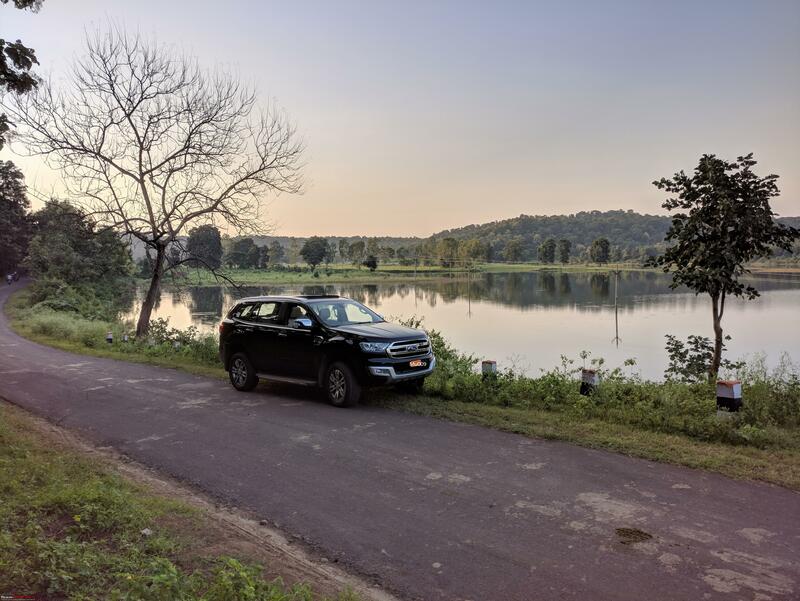 Planning a pick-up run to Nagpur airport in the coming months, and I'll be starting to move back from there 7pm (best case). Am exploring an alternate route as well - I know for a fact that the first 100km on that route are butter smooth. Regarding not going for a tyre upgrade, there is nothing interesting, just tedious detail, hence I'm still holding back a little on elaborating. Since it has been broached in the previous few pages, I'll say this to all those on the fence, if logistics permit, do change them. Obviously, that doesn't mean money - no one in this segment is sensitive to that much of a cost difference. 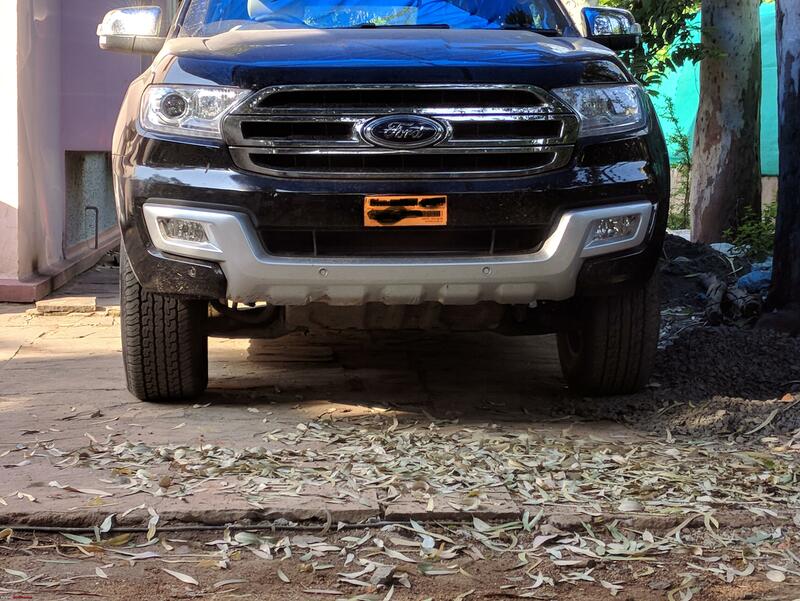 If not uncomfortable, the MRFs are almost unacceptably noisy (considering the otherwise unbelievably low, near luxury car NVH levels of this vehicle) on anything other than the smoothest tarmac (by which I mean they're louder than Kolkata during Durga Puja even on smooth concrete roads). Another thing I was planning to leave for later, but since there's a chance my rationale may aid your decision, allow me to go ahead with some poorly ordered points regarding the changes. 1. The current slightly protruding chrome grill has grown on me - the protrusion gives it a snout-like effect, which suits the bear like character of the car. Initially, I didn't much care for this grill, and thought I'd change it out for the Raptor grill ASAP - seems like I'll wait for now. 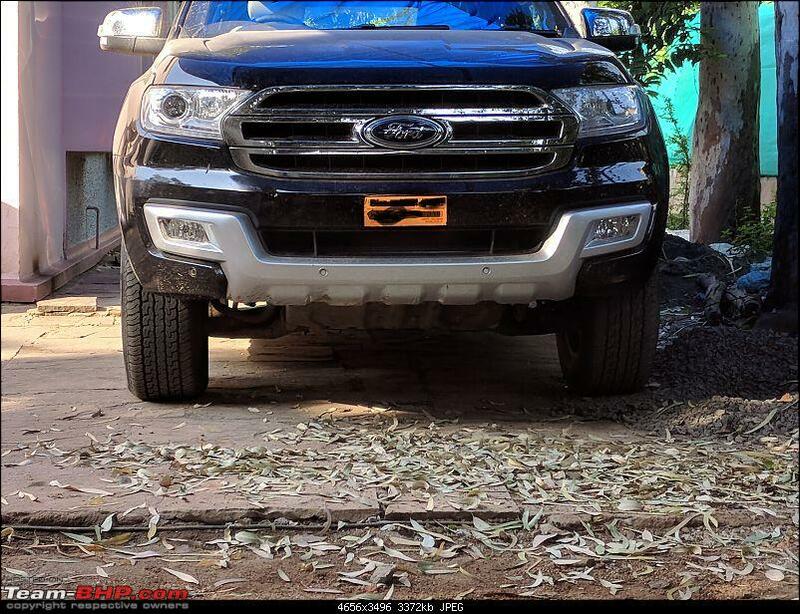 My point with that being, I can't definitively say I'd dislike the face lift's grill - but I don't like it in pictures, or on the Ecosport. Again, not the best metric, but that's the most prominent change out of the way. Though I did quite like the biscuit-y/light coffee-ish colour they had the truck in in one of the press releases. 2. Absolutely abhor the new fog lamp surround. 3. While I didn't much care for the beige interior in the pictures (and due to maintenance, and due to the fact that I'm partial to black), they are much nicer in person, and mom likes the airier feel of those anyway. Now it isn't impossible that the new ebony interiors introduced in the facelift might come to India. If they're anything like the ebony Nappa Leather (look-wise, obviously won't be the same material), that would've been a strong factor for waiting. If it weren't for the fact that Mom prefers beige. Hence it's in the trivial section. 4. Hands-free tailgate. Again, I don't know if it'll make it here, but since it already is automatic (extra point of failure built in), would've liked hands-free tailgate very much. Nothing like proximity tailgate of course, but my experience even with kick to open was excellent - no misses 8 out of 8 times I tried it on the Kodiaq. 1. Increased price by that time - facelift + next year (Ford has hiked prices not once, but twice this year). Though of course, if I had held on to the money till then, it would've accrued a lot more interest than the 50 - 75k increase I anticipate. That said, with idiotically changing regulations and taxes, you can never say how it might go down - road tax could only go up in MP if one nation, one road tax came in. Probably should've put this as trivial, but the fact is, having lost out not only the GST window last year (again, I easily made that difference in a year, but still), and skyrocketing prices for this vehicle and inflation, I was only too glad to part with my money 6 months earlier - couldn't bear the thought of paying still more for it. 2. The GIGANTIC cost of not having the vehicle for another 6 months. 3. Keyless entry/go/(and hopefully)exit. 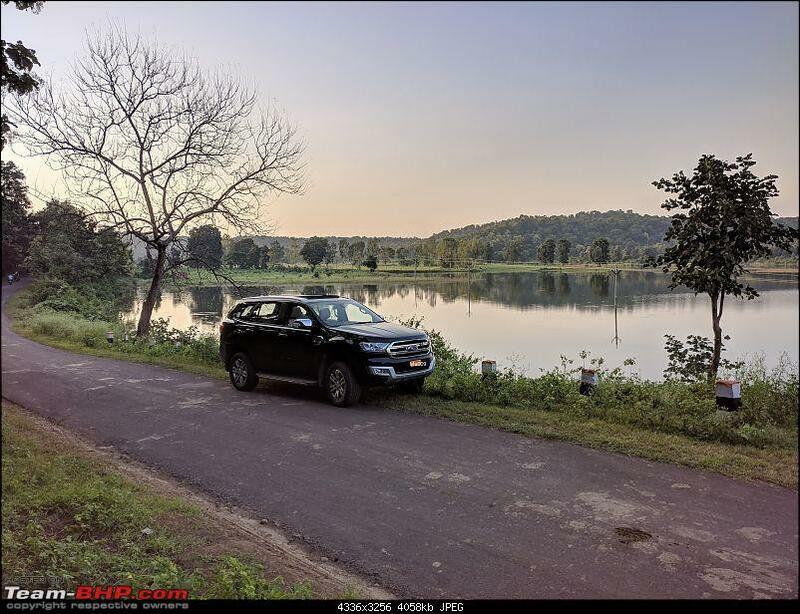 As someone who frequently visits reserved forests and wildlife sanctuaries in my own vehicle, getting down with a huge telephoto lens equipped DSLR and binoculars, it is indeed a sore miss. But, for someone used to all four manual windows and not even central locking for the entirety of their driving life before this, even global close is a sufficiently convenient step up. Bottom line, I can rationalise it any which way I want, it's still a miss for me - I don't think there's that much of a reliability difference. I will say that it isn't inconvenient at all for ordinary cases - I wouldn't suggest waiting unless you have too much of hands full and walking away and back going on. I really don't think there's going to be much of a facelift in a market that (thankfully) won't be getting the new engine (yet). I would advise going for it now in most cases. If you have free time and trips planned before the facelift is due, don't even think about it. It's not worth waiting for, IMO. Doesn't matter what car you currently have - if you've got expeditions coming, buy now. But if it's for normal driving - city and decent highways, a case for waiting is there. On the other hand, if you've not got anything lined up, and you like the looks of the facelift, no harm in going for an updated model. If you think you won't like the new look and can wait, wait for a pre-facelift discount on this model. Simple. My point is, this is a vehicle you buy for a specific use case, and its sheer, blinding competence in all aspects which matter. Not to tell you how to spend your money, but that's what I'd do. If I had use for it, I'd buy now. Else wait for a discount or updated model. Hopefully the above rambling nonsense helps you in some way. I'd do it at every 7.5k - it'd depend a lot on the way you drive on the roads you drive on though. Quick question, if we align outside, I imagine the service centre won't push us for it if it comes out all fine in their road test? Or will they try and squeeze out more margin under the threat of warranty issues? 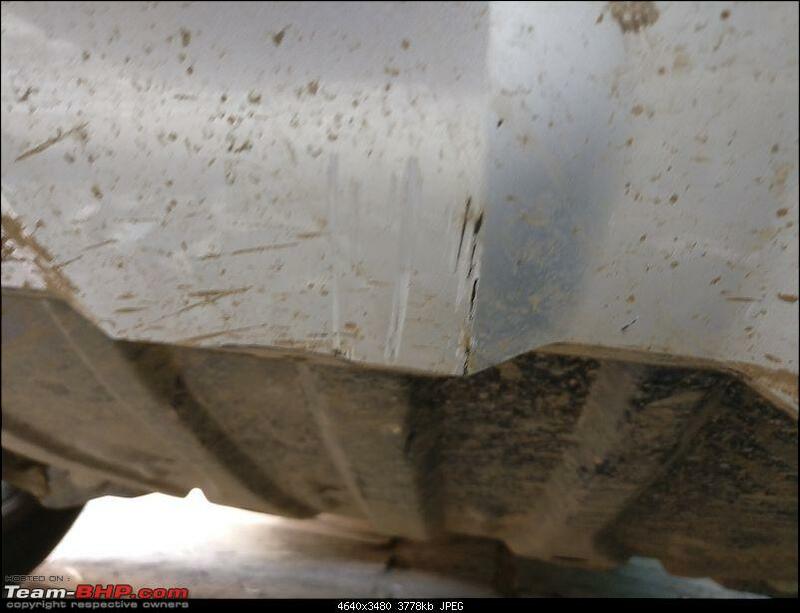 Had a mild scrape on the front skid plate on a decently off-road (but not taxing) track I did (sheer carelessness). Not at all deep, as you can see, but slightly visible. Should I have it touched up, or leave it be? On to some other stuff now. 1. Headlight warning chime - Main Endeavour service guy couldn't tell me anything about battery drain. But, there certainly is a warning chime if you attempt to exit the vehicle with headlights in on position. 2. Lug Nuts issue - Talked to the floor manager. Guy gave some nonsense explanation absolving a manufacturing defect. Didn't bother to argue/elucidate again, but just suggested he might warn Endeavour owners. Naturally tested all lug nuts on my vehicle with the provided spanner during PDI. 3. Insurance - Third party offered for 3 years, OD premium (formerly known as 1st and 2nd party) + add-ons + ncb etc function as before. 4. Dealer Accessories - Swirl marks. 5. Mats - Ordered (and got) high quality 7D mats for all 3 rows from a local shop. 7.5k only. Quite satisfied. Guy said they're "Jaguar" brand. Look exactly like the ones from AutoFurnish, which in turn look like the ones on Ali Express. Drove around with grain sacks as mats till then. And finally, 3 shots. Pardon the ghastly watermarks (too many unethical "journalists" have lifted photos off here, and I'm presumption enough to think a few of these are eminently lift-able for a particular kind of garbage article few outlets pollute cyberspace frequently with) and the downgrade (forum upload bottleneck). Before going further into your post, first things first. How did you manage to squeeze in 87.30 litres of diesel into a 80 litre tank? I can understand a couple of litres +/-, but 7.3 litres? Either the bunk is fleecing you or we actually have a slightly bigger tank. Going back to your post now. Nah, I don't think he was fleecing. With reserve and fuel lines, I think it'll be about that much - as I said, they vehicle reached the pump just in time - everything was probably dry by then. I remember reading a case here where post a Facebook complaint the oil company actually called in the guy and officials checked in front of him. It was an error of 6-ish litres on a 40-ish IIRC. Besides, fuel average wouldn't be higher than MID by tank to tank method if I was given less fuel than displayed at the pump. Or have I messed up my maths and/or logic? The second refuel corroborates the theory too - given a seemingly correct amount, and that the second refuel is from a less trusted pump. Edit: Also, was getting "See Manual" warning just as I pulled in at the pump with the engine knocking away. I assumed that was because the 4L reserve had been dug into, and I remembered the manual stating that the car doesn't start again once that happens until 6 (or is it 10?) litres of fuel are added - maybe some margin in there too. Another indicator as to perhaps why extra fuel came in. 1. Tyre was changed next day. 53rd week of 2017 unfortunately, but I didn't think it'd matter too much (since it was new and presumably stored away from UV rays - taken from spares stock, and not a vehicle), and I didn't have the energy to quibble about it). Also, checked the alignment on a straight road myself and did not feel the need to disturb factory alignment simply because a wheel was taken out and put back. 2. Bumper was also touched up next day. Apart from a slight drip barely visible that I hope will go away with rubbing compound in first service (saw it later), the scratch itself is impossible to tell. 3. Speaking of wheels being taken out and removed, had a scare post service centre wheel removal and re-attachment. TPMS started yowling, park pilot malfunctioned (parking sensors forced off), and a host of wheel speed sensor related errors - Hill Descent Control malfunction, Hill Hold Assist not available, ESC needs service and the traction control light came on. Pouring over Team BHP really helped avoiding panic, and saving a trip back into the service centres confines. I simply parked at the side, checked all tyres with my trusty ViAir, reset TPMS (idling all the while), switched off the vehicle, waited a minute, restarted it once, dismissed errors again and things were normal within 50 metres. Happened once more when returning from Katni (except TPMS). Same procedure, all gone again. Hasn't come back in next 100km. Anything I should worry about? Or simply point it out at first service? Also, quick question for you, if you can recall - though I have sources for it here, can't think of a more reliable source than you - how was the road from Jabalpur to Nagpur? Specifically, is it construction, dust, diversions all the way along that stretch? 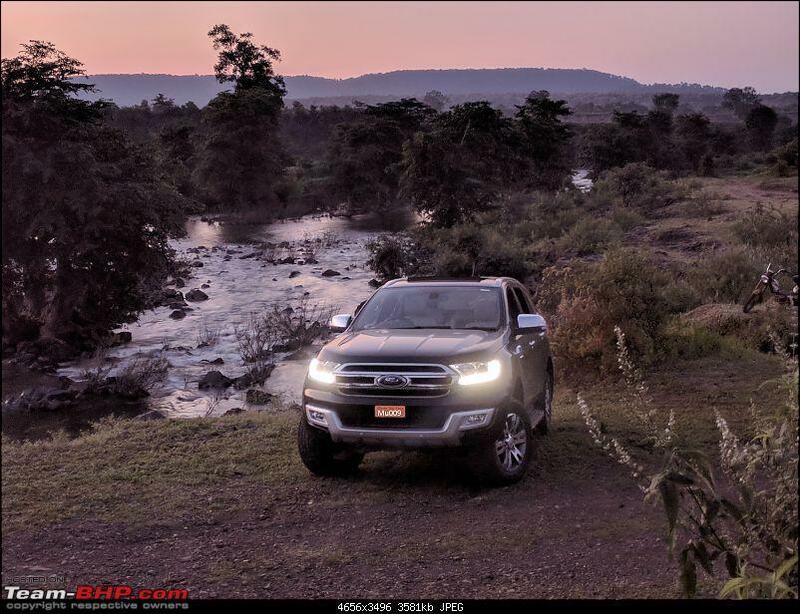 Planning a pick-up run to Nagpur airport in the coming months, and I'll be starting to move back from there 7pm (best case). Am exploring an alternate route as well - I know for a fact that the first 100km on that route are butter smooth. There are 2 routes; via Seoni and via Chhindwara, both of which are in good condition today except a few patches here and there. The Seoni route, which was maddeningly bad some time ago, especially near Khawasa, has been brought up to a very good condition and I would recommend that because it is shorter, leads to the Nagpur bypass directly and hence the airport too becomes easier to access. None of these routes are full of dust and grime, and both have a few diversions, which are ok. 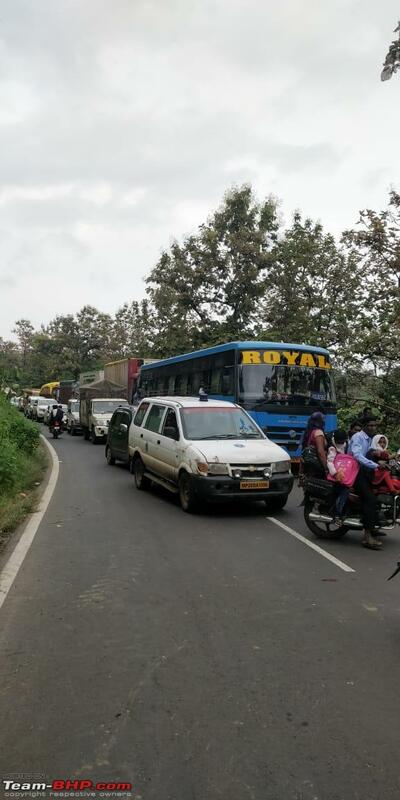 Here is how the road through Pench is now, ignore the jam, which happened due to a truck being recovered from the ravine. 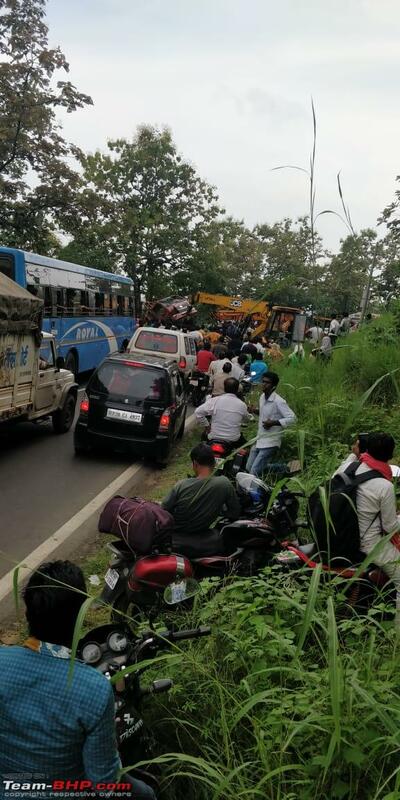 Unfortunately, they are an earful (relatively speaking) even on good tarmac like the road going to Jabalpur airport for example or the Kundam-Shahpura stretch. Looks like our trucks have some similarities; Nandi (Endeavour 3.2) got his first smooch from a motorcycle wallah before he had hit is 1k km mark when the splendid Splendor riding gentleman decided to reverse out and try a different lane in standstill traffic at Datia. 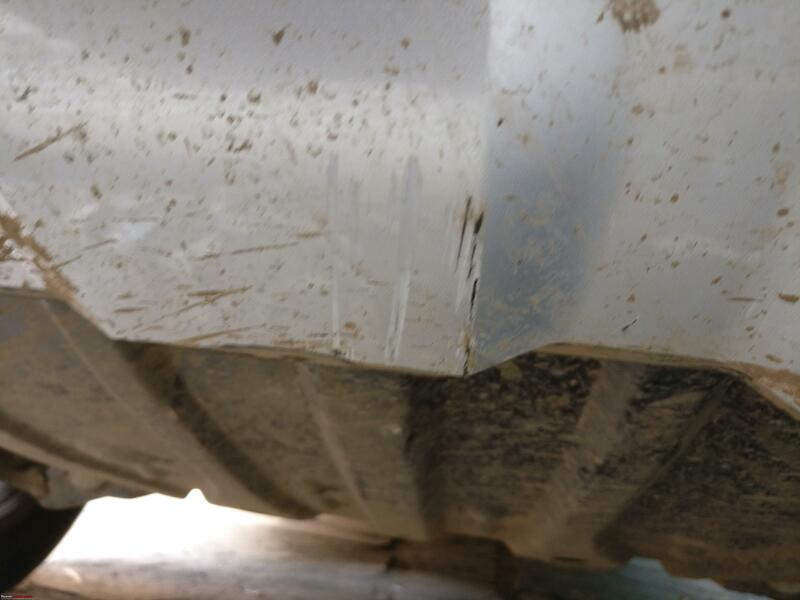 The unpainted plastic mudguard scraped some paint off the skid plate which is visible here. While my heart feels that I should get it repainted, my head says otherwise...!! 1. Prices will certainly go up by at least 100k INR, if not more. I do not see a lot of value in the keyless entry/go, push button start or the remote tailgate. I can think of better areas of spending that money to further improve the vehicle. 2. While I like the new grill, the skid plate design isn't to my liking at all, it makes the truck look leaner, but not meaner. 3. A few features may also be deleted, for example, there are minute differences between Nandi (My Endeavour 3.2) and the older ones (there is an older post elaborating them) and I do not want to take that chance. Not anymore. 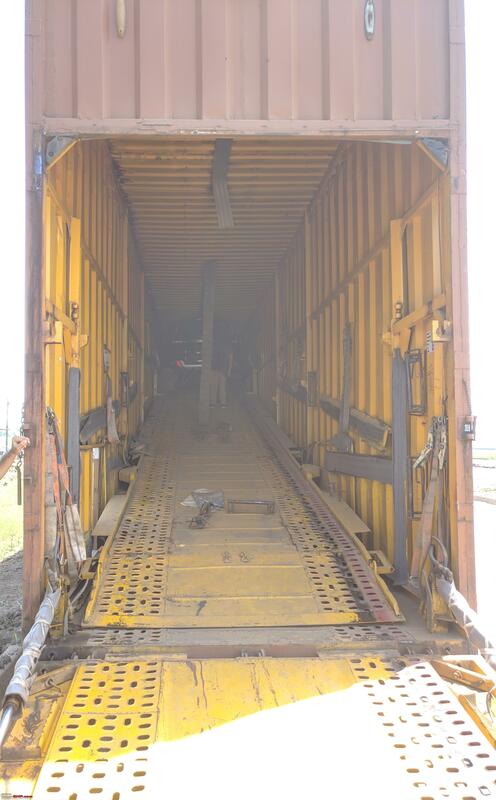 WA can be held off for as long as you can as long as you inspect the tires regularly and they are wearing out evenly and the vehicle does not pull to a side. WB needs to be done only if there has been any addition to the wheel weights (puncture fills for example) OR if you notice shudder when driving on a smooth road OR when braking OR when replacing the tires. Last edited by n.devdath : 18th September 2018 at 11:51. I have tried to fill maximum fuel in tank but it never crossed 80L mark. 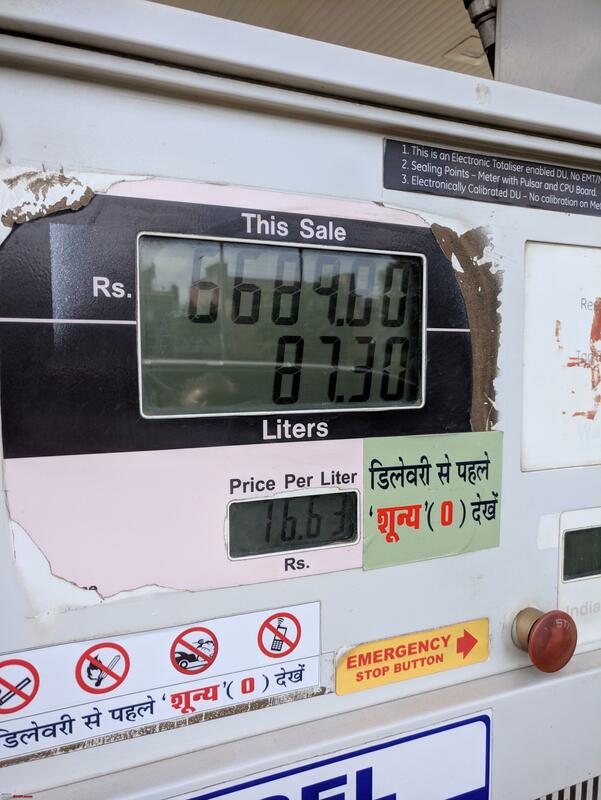 The distance to empty meter was showing 2km and I was literally doing circles around fuel bunk to make sure I empty maximum what I can before refill. 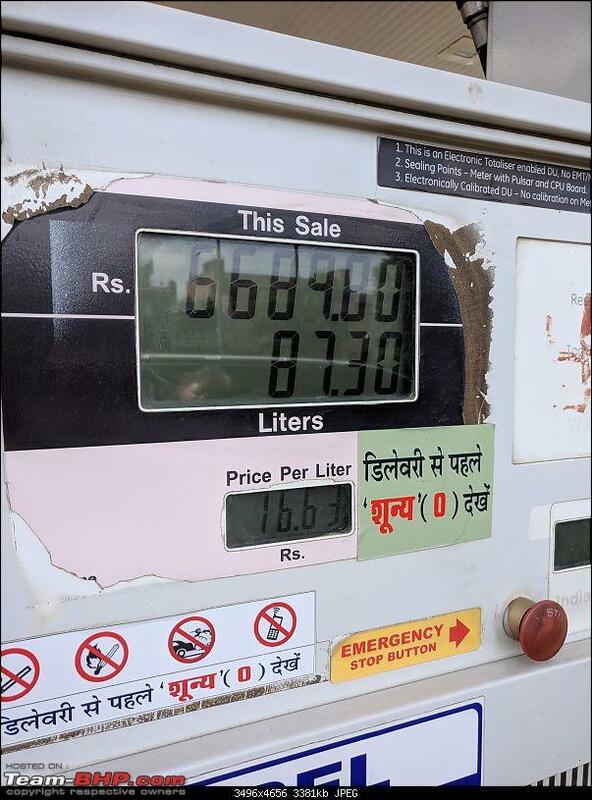 Not sure how 87 litres was pushed in tank. You guys must be driving with your windows down or the Active noise cancellation malfunctioning in your vehicles, when you say that stock MRF's are noisy. I have traveled on Yamuna Expressway (the worst road noise wise) and the way Endeavour cancelled that noise, it is just unbelievable. On regular tar roads, you just don't hear a thing from the tires. 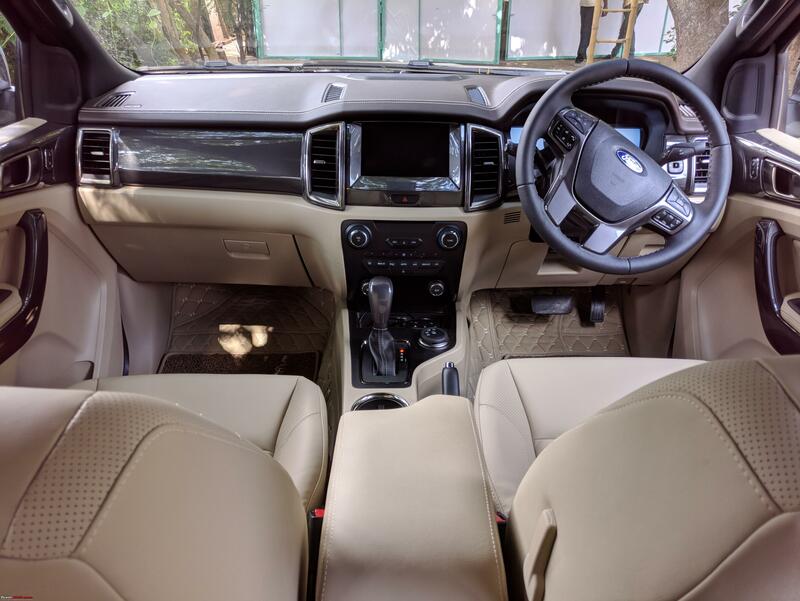 On a separate note, yesterday i traveled to office in my immaculately maintained 4.5yr old Gi10 (D) and i must admit, Endeavour is so much easy and relaxing to drive in cut throat 9AM Gurgaon traffic, as compared to a city friendly small car like Gi10. Speaks volumes about this truck' capabilities. I have tried to fill maximum fuel in tank but it never crossed 80L mark. Nah, I don't think he was fleecing. First of all congrats Mu009, better late than never . As we can read and infact whole Team-Bhp knows you are loving it. I agree to roby_dk, we could never fill more than 75-78 litres. 80 litre includes reserves. Don't grey your hair over it, change the pump as for sure pump is cheating. May be you were so excited that you did not see "0" before delivery. It happens during new car delivery. Similar situation, same combination of cars and same destination too. However MRF's tyres are noisy on non-carpeted tarmac like Gurgaon-Faridabad road, not so much on NH-48, which has better tarmac quality. Recently I changed the tyres of Grand i10(D) and noise reduced considerably but still not as good as Endeavour. Also Endeavour ANC seems to work only after certain speed. Can anyone confirm it ? Last edited by Wanderers : 18th September 2018 at 12:21. Couldn't agree more on this and the same has been confirmed by Anurag Mehrotra as well. 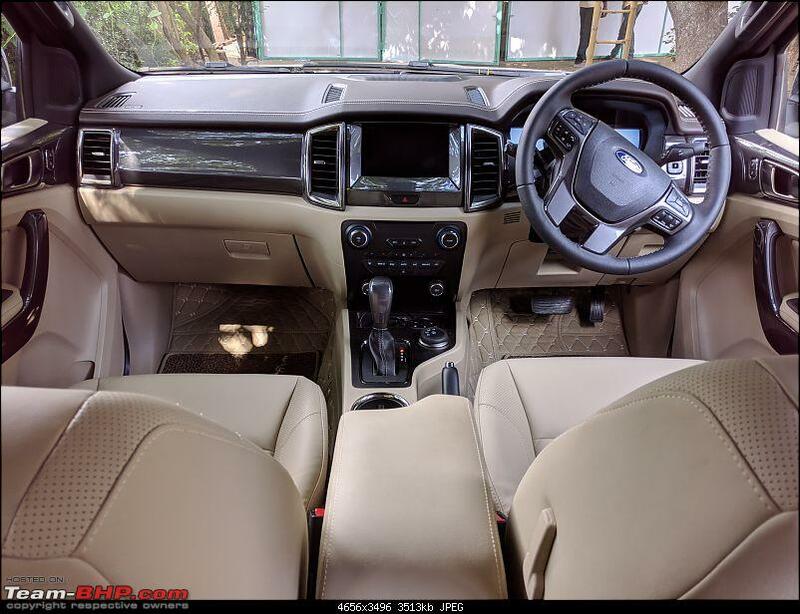 His wife drives an Endeavour and she took it to Kasol near Chandigarh, she too praised the NVH levels of the car. Anurag asked the same question from me as well and I can confirm my family also share the same feeling. Despite of big 3.2 diesel mammoth under the hood one barely feels any noise or vibrations inside. Our old dicor feels like as we are sitting on a massage chair with vibrations across all rows. One has to shout if we want to communicate within car, my younger brother has to manage, before we plan to sell it. Obviously MRF are not the best shoes for the beast but manageable for most of us for next 30-40k. I have one more question to members, in case we switch to HT from AT tires don't you think it will further aid NVH levels. 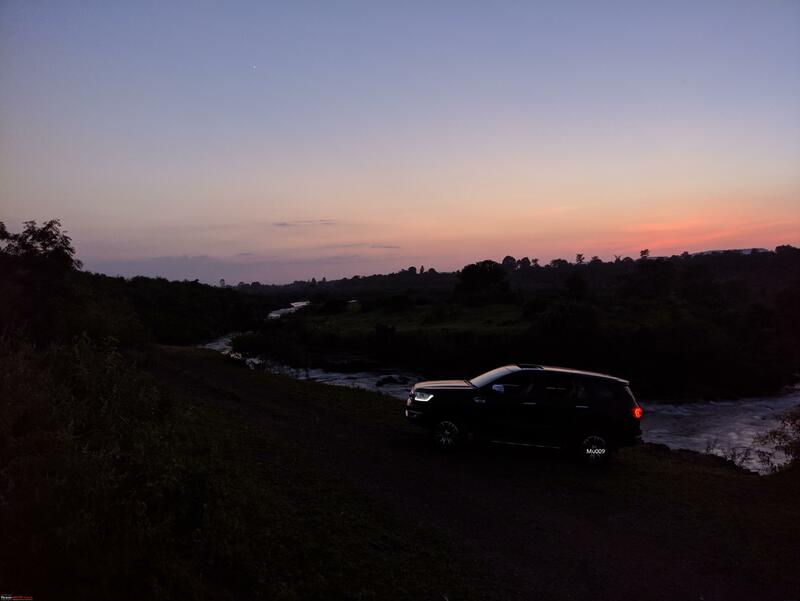 We will get more silent cabin specially for those who don't plan off-road trips frequently. Are there any HT options available in market? Last edited by roby_dk : 18th September 2018 at 12:27. Couldn't agree more on this and the same has been confirmed by Anurag Mehrotra as well. Yes, the cabin is truly whisper quiet, especially at idling/cruising/foot off the accelerator. And even with windows open, the engine isn't intrusive at all. The note is pleasant though - so even intrusiveness wouldn't hurt. MRFs aren't terrible. Comfort is fine. And going by certain performances in .anshuman's videos, they may be the first to give up off road, but they do hang in there for a time. But noise wise, at least by my standards, they are simply atrocious. Period. I am sure you will find good H/T options. 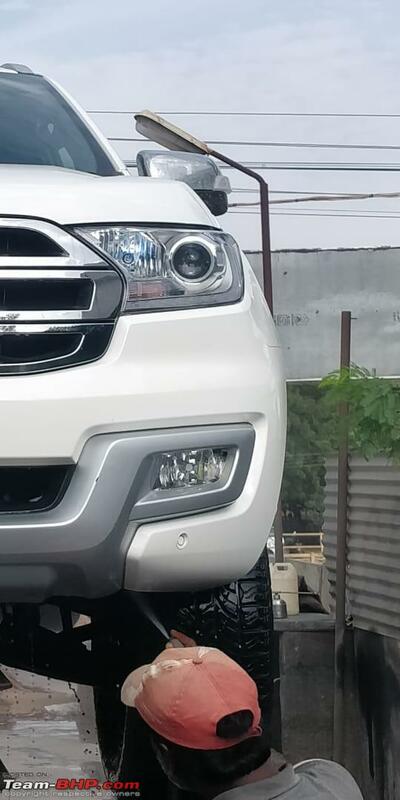 The first concrete example that comes to mind is the stock set the Fortuner 4x4 is kitted with. And yes, I think switching to H/T will make sense for your use case. Imagine how quiet good H/Ts will be when even A/Ts are miles ahead of MRFs. Nah. As I said, there was virtually no excitement on my end. Just a little nervousness about the blemish and tyre sidewall cut which disappeared quickly thanks to dealer assurances. Also, I always get down, ask the guy to wait, note my trip meter and then open the fuel lid. No chance of the meter not being zero. Also, there were 2 other people watching for it in this instance. And I remember having checked it. 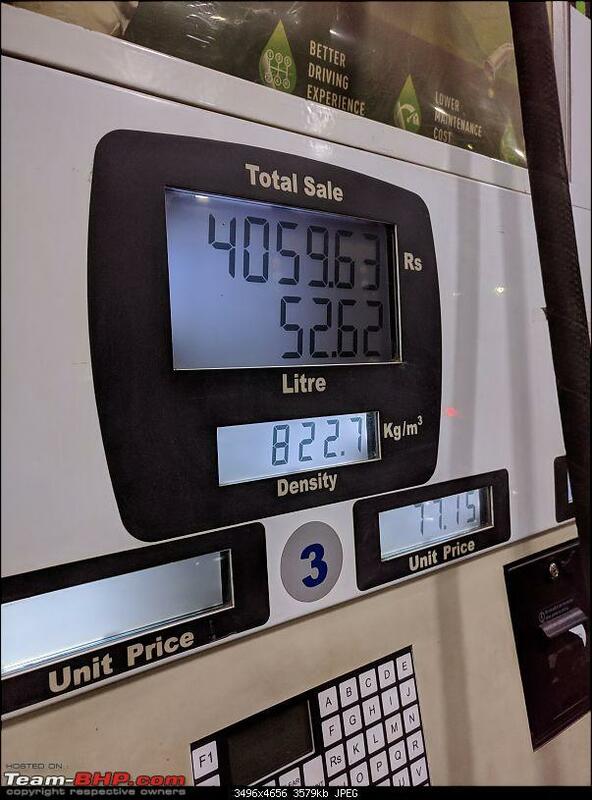 So either the pump's meter is rigged. Most likely, I suppose. Or there is some explanation we aren't yet privy to. I too think 80L includes reserve. But not fuel lines and ancillary chamber capacities. Even for that overhead though, 7L is too much, even for this vehicle. The only reason I didn't bother is (first impulse in such scenarios is to always raise hell for me, but I have reasonable control over it), I recalled the scenario I mentioned in my post replying to Scorpion on the same. And, as I always say - better less fuel than adulterated fuel. Either way, I will avoid this pump. It was recommended by a very sharp guy who frequently fills there as reliable, and since it was close-ish to the showroom, the first fuel up was necessarily there. It is well out of my way, and in an area of dense traffic. I am unlikely to visit it again anyway. Next time, if you are inclined to do so, try it till your engine knocks (despite the torque convertor AT) and the car starts threatening to stop. Then drive another 20 metres to the pump's bay. Perhaps then. 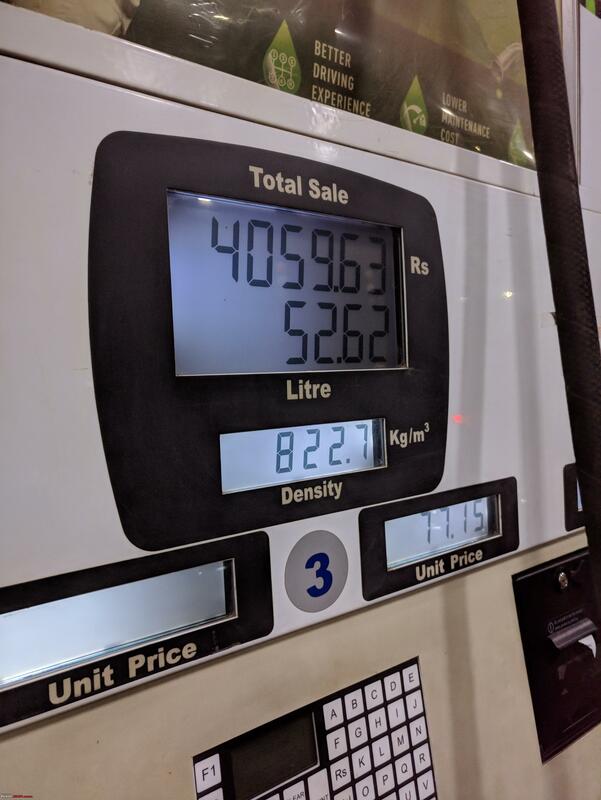 My distance to empty had started dropping drastically from 30km from 5.3km away from the pump, and the last few 100m were on 0km distance to empty. I myself am unlikely to find out again - I fill before even hitting 1/3rd usually, let alone getting to 1/4th. No. It's there right from when you switch on the vehicle, IINM. Also, as someone who has extensively used a variety of ANC products for a number of years, and closely followed the technology and new developments in the field, I instances it such that mic-based ANC will have a much lower effect on tyre noise and wind noise components. It is primarily geared towards the more predictable and bass-ier engine note. Will reply to your post at leisure. Much to say/ask.